Warman's Depression Glass : Identification and Price Guide by Ellen T. Schroy. 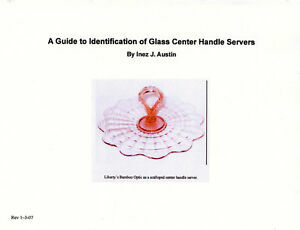 Warman's Glass : A Value and Identification Guide by Schroy, Ellen T.
wvglassmuseum has no other items for sale. WVMAG is committed to preserving and sharing the history of the American glass industry and includes preservation of the glass itself and the artifacts used in its manufacture as well as education as part of its mission. Pay a maximum of $5.00 shipping on all eligible items from wvglassmuseum. $1.00 shipping for each additional eligible item you buy from wvglassmuseum. Domestic postage $3.50 for 1st title, $1 for each additional. Non-members: Pay invoice amount in full. Members (at $35 level or above): Pay total and a $4 refund per title will be issued to your PayPal account. Discount applies only to 1st copy of each title; subsequent copies of same title must be purchased at regular price.